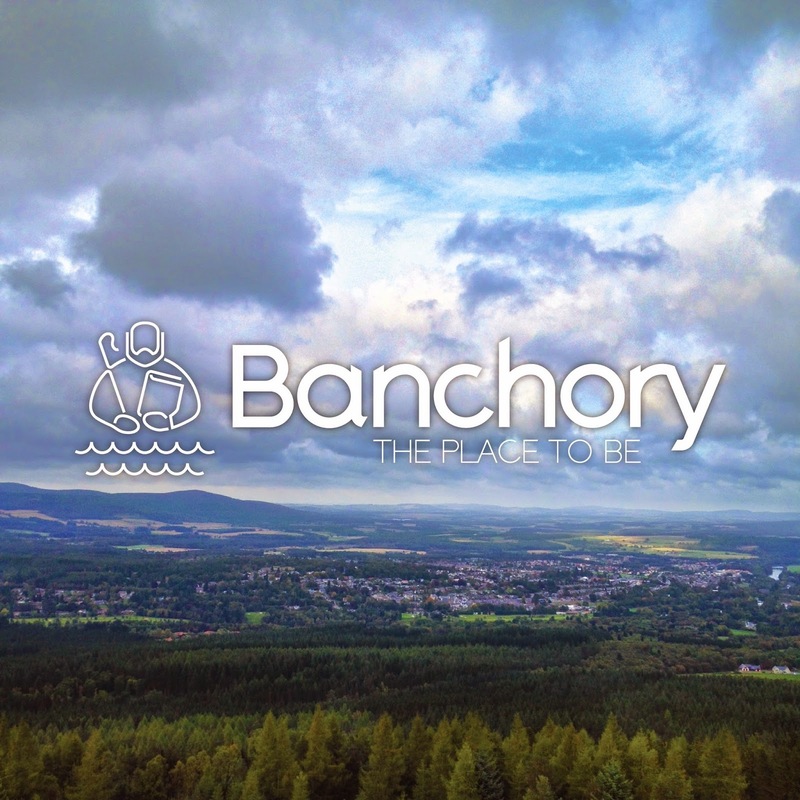 The third “arm” of our Banchory project was to create a brand identity that celebrates and promotes Banchory as a town with rich historical and cultural roots and a vibrant, diverse, active and growing community. It has been a long but enjoyable process for us and we created an icon, a brand type marque, a main strap line and lock-up straps and also designed a new font as well. Phew! All this was completed three weeks ago and together with the murals was officially launched on the same day, the 10th October. The icon is based on St. Ternan – the legendary founder of Banchory. We took the traditional saint image as a starting point, deconstructed it and then re-built the new icon out of elements representing key aspects of the concept and rationale. We have made a more contemporary icon that we believe is instantly recognisable and will be obviously associated with the town. The new font was designed with the brand in mind and we started with an open source font – Raleway. We emphasised the calligraphic characteristics of the uncial script commonly see in Ternan’s era without resorting to using all-caps for the main Banchory word marque. The font is available in two weights as both Open Type and True Type versions and we have named it Banchory Raleway Sans – a nod to both the author of the original font and also to the old Deeside Railway Line that ran through the town from Aberdeen to Ballater. 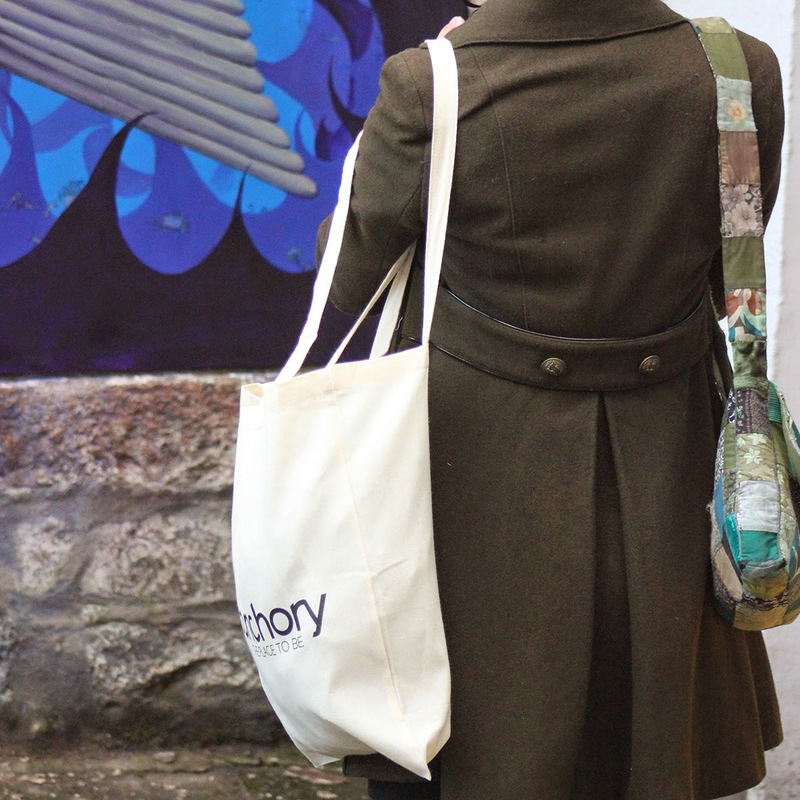 When it came to the main strap we drew on all the earlier research we had completed as part of the community engagement in the High Street Drop-In Centre. A recurring theme had emerged as part of this, examples such as – “a place to come home to” “where I am happy to be” “it’s home for ever!” and “the place to live”. The launch was a great event with the public, local councillors and the Provost all being present to officially welcome and introduce the new identity to the town. It’s been a great experience for us and one we have thoroughly enjoyed being part of. NextNext post:…the time has come to…Push the button.